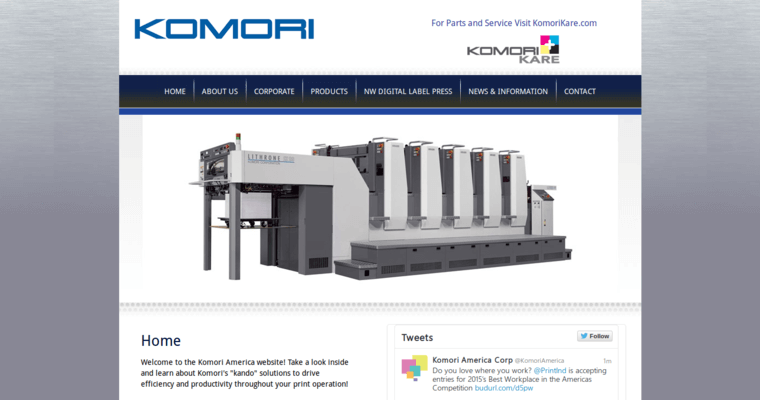 Komori America is the American arm of Japanese precision printing company Komori. 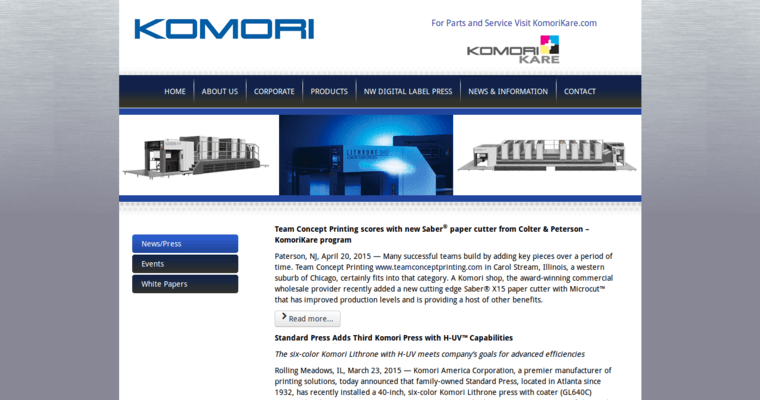 For 90 years, Komori has been a leader in the rapidly changing world of precision printing. Their products include a wide range of state of the art presses of different types. Komori America is located in the Chicago suburb of Rolling Meadows. They pride themselves on their commitment to service. They have a skilled team of engineers, technicians and other specialists who can always be called if there are issues with Komori products. 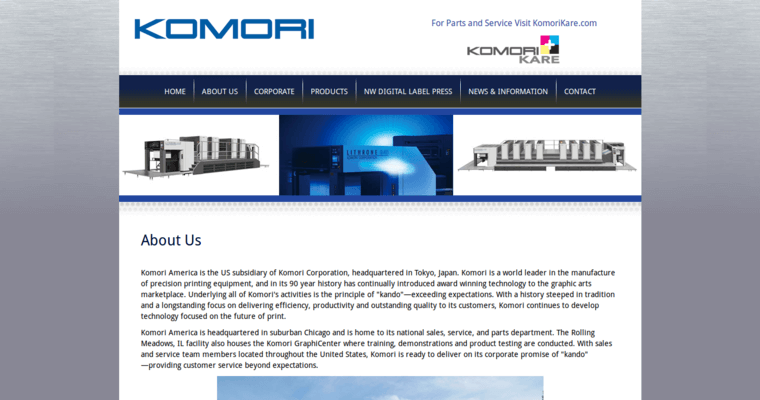 Komori prides themselves on their "kando" attitude towards service. Their parts storage facility is only ten miles from O'Hare Airport, which makes it possible for them to ship parts anywhere in the world very rapidly. Parts can be ordered any time in the event of an emergency. The Komori GraphiCenter in Rolling Meadows is where the company conducts training, product demonstrations and other events.